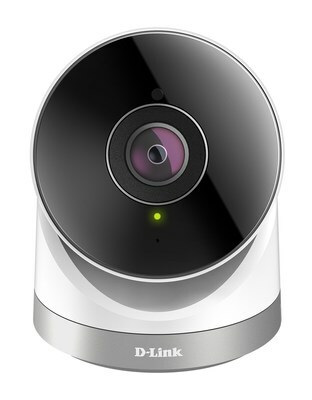 LAS VEGAS, Jan. 4, 2017 /PRNewswire/ -- INTERNATIONAL CES -- D-Link today expanded its line of successful smart home security solutions with new affordable HD Wi-Fi Cameras. Designed for a variety of security applications, the Full HD 180-Degree Outdoor Wi-Fi Camera (DCS-8700LH)1, HD 180 Degree Wi-Fi Camera (DCS-8100LH), and HD Wi-Fi Camera (DCS-8000LH) offer premium features, including advanced video monitoring capabilities, wide viewing angles, crisp HD video quality, and compatibility with D-Link's Connected Home series of devices. "Life doesn't stay still, and D-Link's home security devices provide families with flexible solutions to make life simpler and provide more security," said Oscar Reyes, vice president of marketing, D-Link Systems. "Cameras are a vital component of home security, and D-Link is committed to ensuring families around the world have an intuitive and affordable way to monitor homes and loved ones." D-Link's night vision technology combined with crisp HD 720p video allows for clear and detailed security footage, even in total darkness. Sound and motion detection capabilities allow for push alerts to notify home owners what's happening even when they're away, and can also trigger video clip recordings to a local microSD card slot2. 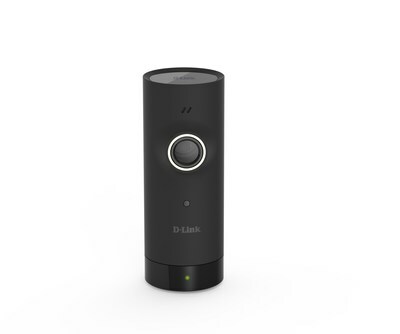 The new D-Link cameras can also be connected through platforms, including IFTTT (If This Then That), for a truly personalized smart home experience. Additionally, the new HD Wi-Fi Camera (DCS-8000LH) offers users a simple, compact and feature rich security solution at a low and affordable cost. To further enhance user experience, the updated mydlink Home app provides a wide range of options for controlling a smart home, and now D-Link's lineup of Connected Home products and Wi-Fi Cameras can be controlled from a simple, free, unified app. For comprehensive surveillance, the enhanced mydlink Home app will continue to support free local recording via a microSD card, and also offer users the option to use cloud recording – with both free and paid for options available. Along with multiple recording options, users can also review the day with a convenient memoir time lapse recap. The new D-Link Wi-Fi cameras will be available in Q2 and displayed at the 2017 International CES, Jan. 5-8, 2017 in Las Vegas. Detailed specifications are available online at dlink.com. 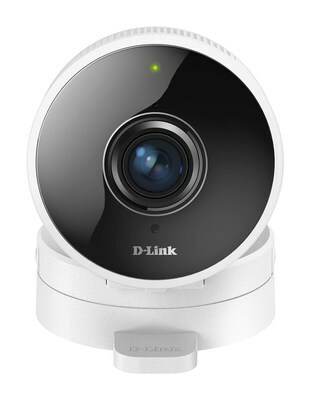 1 Full HD 180-Degree Outdoor Wi-Fi Camera (DCS-8700LH) will not be sold in the U.S.
D-Link and the D-Link logo are trademarks or registered trademarks of D-Link Corporation or its subsidiaries. All other third-party marks mentioned herein may be trademarks of their respective owners. Copyright © 2017. D-Link. All Rights Reserved.